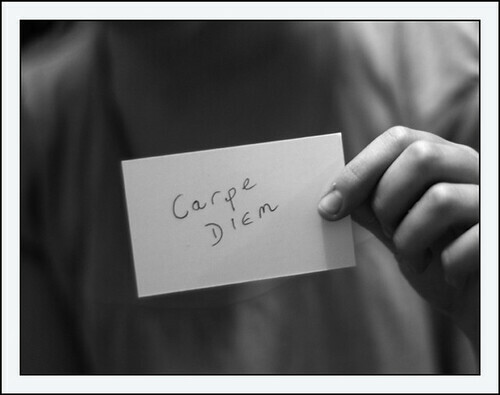 How can you seize the day and enjoy life more? Be grateful for good events and focus on the fact that they will soon end. This has been shown to increase happiness and to make you more likely to take advantage of opportunities. As Dr Kurtz predicted it was those in the second group who were happier after the intervention; the other two groups showed no significant improvement. It seemed that just being encouraged to think grateful thoughts was not enough to increase happiness. What made the grateful thoughts beneficial was focusing on the imminent end of this pleasurable experience. On top of being happier, students encouraged to think how little of college remained were more likely to take advantage of the time they had left. They displayed greater motivation by taking part in more college-related activities. Dr Kurtz suggests thinking about the end of their experience at college put them in a ‘now or never’ frame of mind. « Is the smell of pizza the key to creativity?